We are back with a bang after our Summer break with our next meeting this Friday 13th featuring Peter Warren of Saruyama Bonsai. 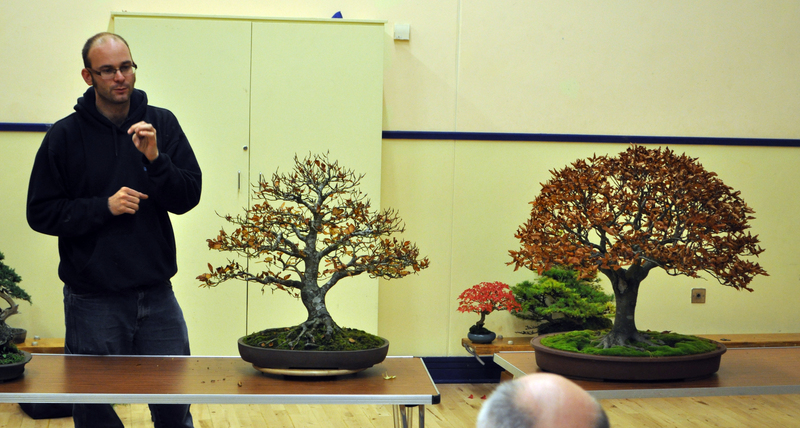 Peter will be talking about life in Japan as a Bonsai Apprentice and doing a little tree critiquing for us. As usual we encourage members to bring a tree along on the night for display and discussion. We expect Peter to be fully refreshed after his recent holiday ;-) What does a bonsai artist do on holiday? Read his latest blog post here to find out. Peter is also running a two day workshop on the Saturday and Sunday. As you would expect, all places are now filled. Keep checking back here of updates and images from the weekend.